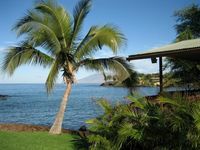 Makena is located at the most southerly tip of Maui. 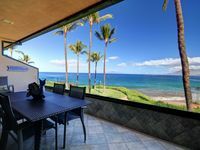 The Makena North Golf Course is part of the Makena Golf and Beach Resort and is set in an 1,800 plot of land that is virtually entirely a nature preserve. The golf atmosphere here is quiet and totally naturally. Once combined with the South Course, the North Course was renovated and newly irrigated, and now operates as its own entity. There are very few residential dwellings on this course, which is framed by thick vegetation and black lava rock on each side. 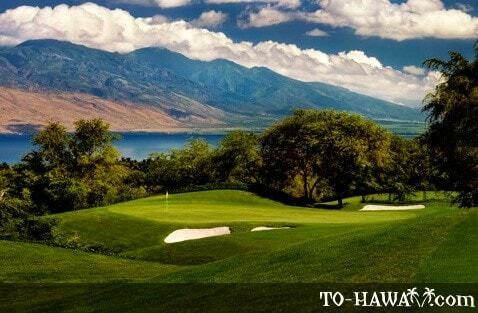 Designed by Robert Trent Jones Jr and opened in 1993, this 18-hole, par-72 course navigates its way around territory that is dotted with natural gullies, streams and lava rock walls. There are great views of the surrounding mountains and the Pacific Ocean from many parts of the course, especially from the par-3 fourth hole and the 15th, a par-5 that plays downhill. Measuring 6,914 yards from the longest tees, the course is laid with Bermuda grass and has a slope rating of 139. The signature 14th hole on the back nine, at 620 yards from the back tees, has the honor of being the second longest hole in Hawaii. However, play is entirely downhill and, provided the shots are strong, a player can reach it in two. The layout at Makena provides a memorable experience because this course is as much a scenic nature ramble as it is a golf outing. A club and cart rental service operates at Makena Golf Course. There is a driving range available for anyone who wants to get a little practice in or warm up before their game. The pro shop offers a selection of golf wear, equipment, and other related merchandise. There is a snack bar and restaurant where visitors can relax with friends and/or fellow players while they partake of refreshments and enjoy fantastic views. 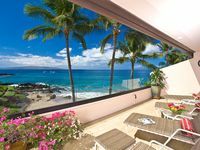 Turquoise Cove G301 at Makena Surf - Perched Above the Ocean! 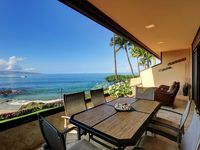 Makena Oceanfront Cottage - Spectacular location!